“The bowl fragments were found accidentally while planting trees on the Wedgwood estate in about 1850.” The find was written up by “Lawrence Wedgwood, FRGS, who had been present at the discovery [circa 1851], wrote a short report of the find, published in 1906 [when] Miss Amy Wedgwood caused an iron fence to be erected round the site of the grave to mark its position. […] An admirable account [of the bowl] was provided by Romilly Allen. Allen adds a first-hand account had from Amy Wedgwood stating that the planting of the trees had been on… “the gravel-pit hill behind the house”. This confirms the location given in Lawrence Wedgwood’s paper (given in full, below). The grave was found without any trace of bones, and in the 1960s a cremation was mooted to explain their absence. Ozzan also gives a line-drawing of the bowl’s reconstruction, confirming the fragmentary nature, and also notes that… “the bowl has been spun, not cast”. Some Victorian antiquarians initially thought, wrongly, that the bowl fragments may have been from a helmet. 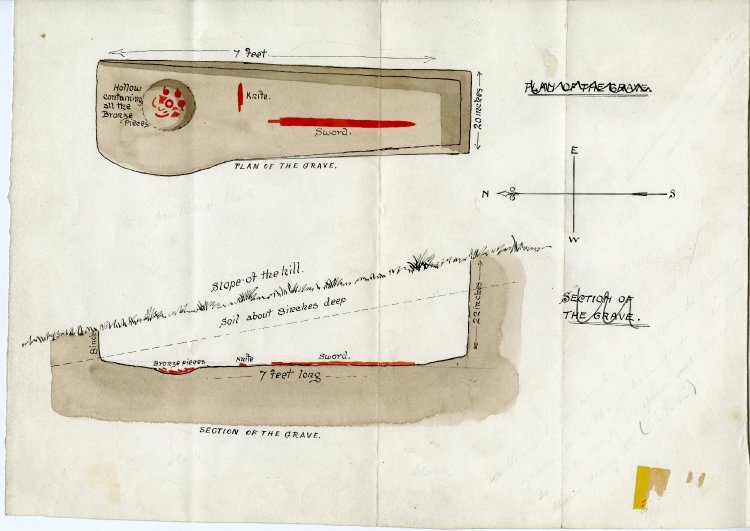 Such as Llewellyn Jewitt in his Grave-mounds and Their Contents: A Manual of Archaeology, a book in which he also described the other fragments found in the Barlaston grave. The Romilly Allen description is also online in open access, in a scan of Archaeologia, or, Miscellaneous tracts relating to antiquity. Although the illustrations of the disc designs appear to have been removed from the scanned Harvard library copy. 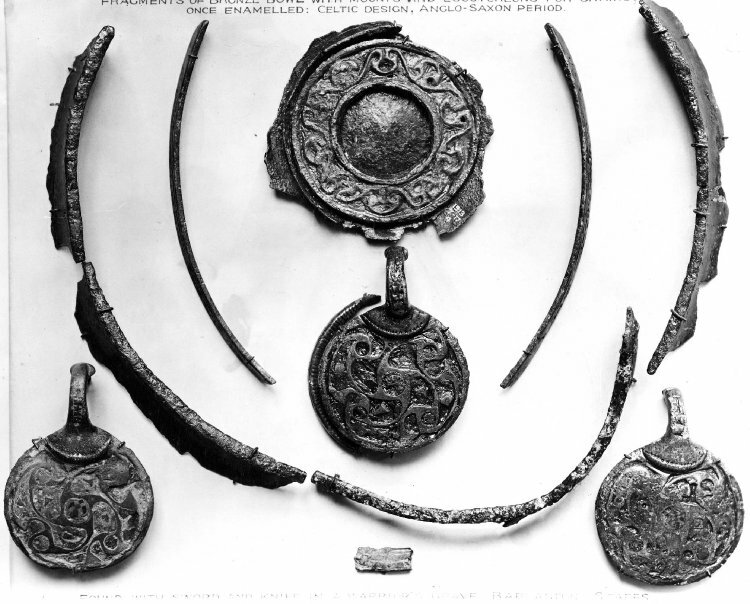 Allen was of the opinion that the disc patterns were very early, reflecting the influence of late Celtic work. Ozzan later suggested an Irish influence (see quote below) on the discs via their enamelling. 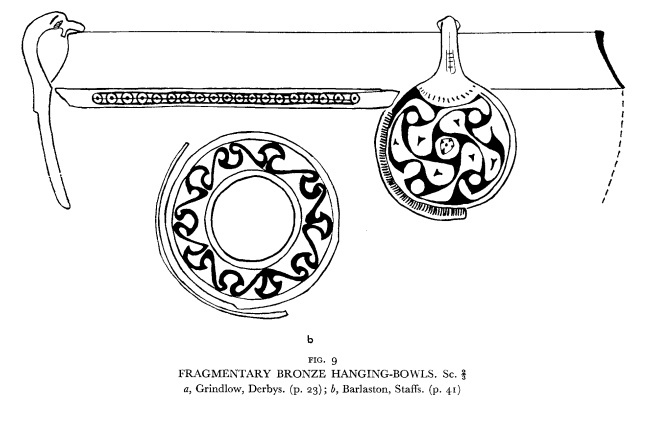 I note that there is a thesis on such English bowls by Jane Brenan, and from it the slightly revised book Hanging Bowls and Their Contexts: An Archaeological Survey (1991). Bury Bank and Saxon’s Lowe are fairly nearby. Bury Bank is associated with King Wulfhere (658-675 AD) and has never really been properly investigated. There might equally be some connection with Cauldon and the Peak. Given the isolation of the grave and the rough proximity to the river one suspects some liminal figure. Perhaps a long-serving guard or ferryman of the vital crossing of the Trent near Stone, who had made his home a little north at Barlaston. The site appears to be above a small tributary of the Trent, so one might imagine him skimming his coracle a short way down the tributary to reach the main Trent. Or possibly the uncontrolled flood-plain of the Trent made the river far wider at that time, making the tributary a significant inlet, and the burial site was indeed once effectively closer to the river. NOTES ON CELTIC REMAINS FOUND AT THE UPPER HOUSE, BARLASTON. We moved from Etruria to this house in 1850, and it was soon after we came, that in planting the top of the hill to the east of the house, we came upon the grave in which the bowl, sword, and knife lay. The house was built by my father on a plain grass pasture field, which had at some previous time been ploughed, and I never remember seeing any sign of a mound over the grave. One day, while the holes were being dug for planting, I found the labourers talking about some pieces of bronze they had found, and, wondering what it was, I mentioned this, and we then had the grave properly opened, and found the pieces portrayed on the accompanying sketches. My brother, Mr. Godfrey Wedgwood, made a careful sketch of the grave and its contents, of which the sketches herewith are a correct copy. 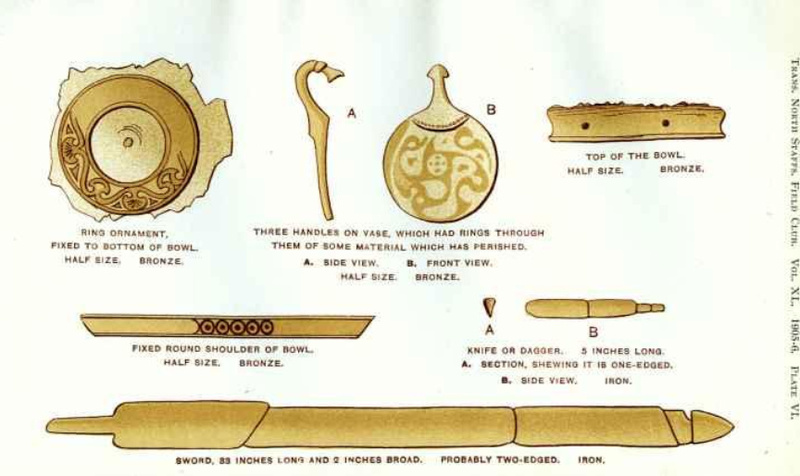 The bronze bowl, I fear, had been shattered by the workman’s spade, but the sword lay along the side of the grave and the knife across it, the bronze bowl being, I presume, near where the head of the warrior lay (see sketch). The sword broke into three pieces, and the knife also broke, on being lifted, being so badly rusted. The bronze articles were in good preservation, except from the mischance of the bowl having been broken before we were aware of any grave being there. There were no bones and no cinerary [cremation] ashes, and no signs of any coffin. Of course, being a shallow grave, and not air-tight or weatherproof, all signs of a skeleton had long since vanished. Our grave seems to have been a solitary one, as in laying out all our garden and grounds and planting the wood to the east of the house, which would all cover five or six acres, we found no other graves, and although the top of the hill was a gravel pit when we came, and we used gravel largely from it, we found no other remains. The hill is about 500 feet above sea level, and across the Trent, to the south-west, about two miles as the crow flies, lies the old British Camp [hill-fort] of “Bury Bank”, at the south end of Tittensor Common. The grave is cut in the sandstone rock to some depth, and lies north and south; I presume, denoting its Pagan origin. My cousin, Mr. J. Romilly Allen, F.S.A., says the ornamentation of the bowl is distinctly late-Celtic, i.e., Pagan-Celtic of the Iron Age B.C. 300 to A.D. 450. The form of the knife and sword, which are Saxon, however, point to a date at the end of the late-Celtic period. The discs were fixed to the sides of the bowls, and the hooks, which usually terminate in the head of a beast or bird, projected over the rim. The curve of the pieces of the rim show that the diameter of the bowl was nine inches. The curve of the ribs is the same, showing that they must have been fastened to the outside; but I don’t understand why the ends are sloping. It looks as if they must have been placed diagonally, though how I cannot explain. The metal is cast, not wrought, as is more usual, and the centre and marks on the bottom indicate that it must have been turned on a lathe. 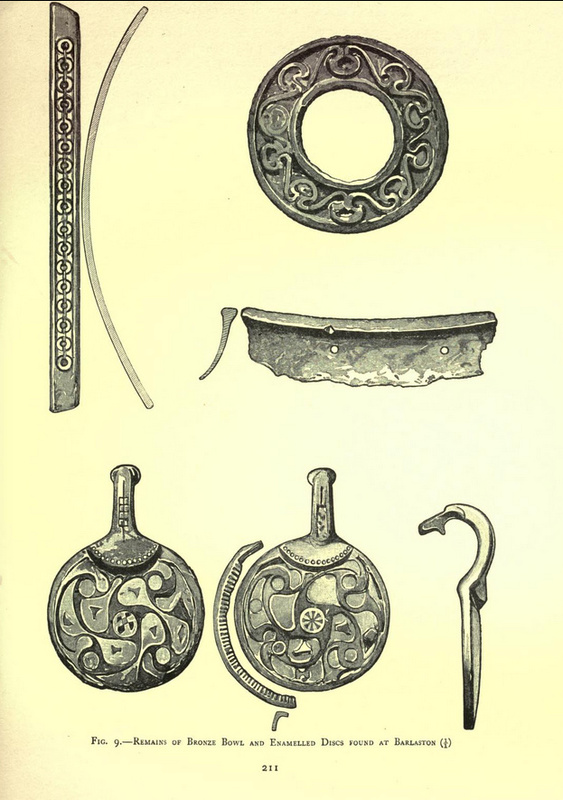 The enamelling of the discs and the designs arc of the Pagan-Celtic period. The enamelling is exceptionally fine, as some of it is made, like Mille-fiore glass, by fusing several sticks of coloured glass together. This bowl is of special value, because it is the only one that can be placed, beyond doubt, in the pre-Christian period. 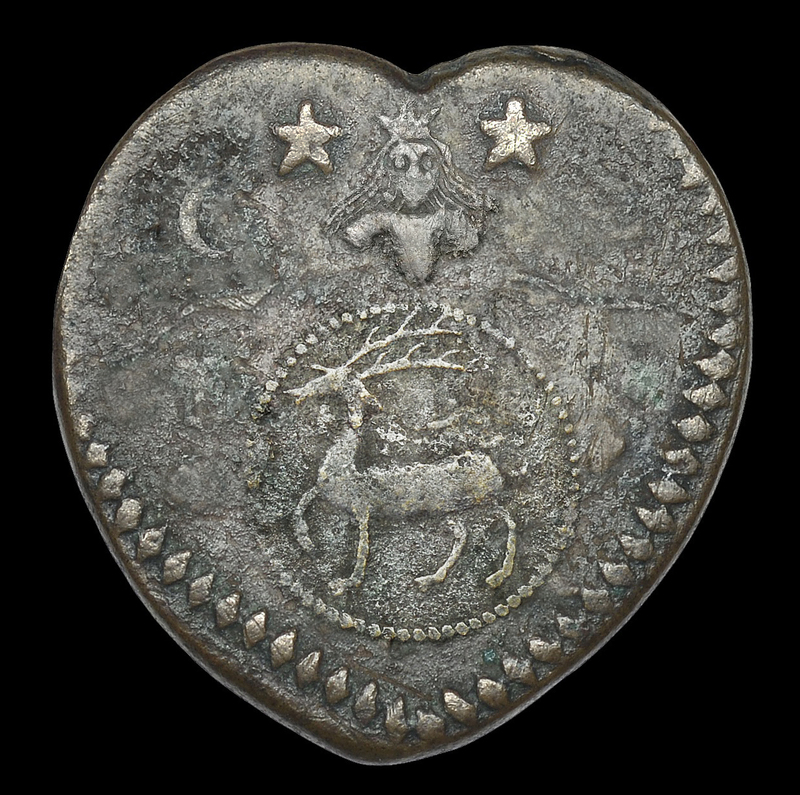 Three of the most attractive and archaic-looking Staffordshire tokens (private-money coins), part of a large collection that is going to auction in September 2016. 1. 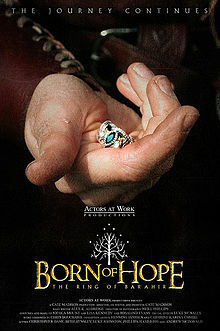 The excellent 70-minute fan-film Born of Hope, for the Aragorn back-story. 2. The Hobbit trilogy in the form of the 3.7 hour “Empty Sea Edit” bloat-free fan-edit, which is near-perfect up until the travellers reach Lake-town and tip out of their fish-barrels (about two-thirds of the way into the story). After you encounter that scene, just stop watching the film immediately. 3. Then switch to the 1968 BBC full-cast radio adaptation of The Hobbit (free online). This is very faithful to the book. Listen from 4:00 mins in Episode 6 “A Warm Welcome”, to 16:30 (Bilbo says “wait here…”, the point at which Bilbo is set to go down the stairs). 4. Then back to The Hobbit screen trilogy, again in the form of the “Empty Sea Edit”. See the superb 15 minute ‘Bilbo and Smaug the dragon’ section. Stop watching as soon as that section finishes. 5. Then back to the 1968 BBC full-cast radio adaptation to finish the story of The Hobbit — Episode 6 “A Warm Welcome”, from 24:00 mins onwards. Then listen to the final two episodes, “7. The Gathering of the Clouds” and “8. The Cloud Bursts” (60 minutes in total). Admittedly, step 5 has very annoying elves. If you really can’t stand to listen to the BBC’s “squeaky-voiced” elves for an hour, then the relevant section of the Rob Inglis audiobook of The Hobbit would be a good alternative with which to conclude the story of The Hobbit. (Why? Even the “Empty Sea Edit” can’t rescue the final part of Peter Jackson’s film of The Hobbit, and viewing this overwrought and emotionally-weak attempt to make a ‘Lord of The Rings 2’ will likely spoil a viewing of The Lord of the Rings trilogy itself). 6. 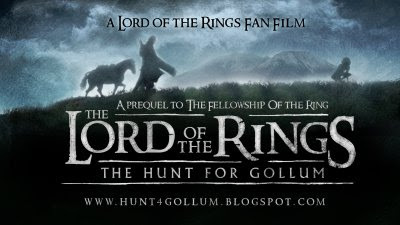 Then the excellent fan-film, The Hunt for Gollum in its extended 38 minute version. 7. Then The Lord of the Rings trilogy in the extended DVD versions, but skipping entirely the long and bombastic exposition-for-dummies at the start of the first film. Instead, just start quietly in the Shire. Specifically, start with Frodo lying down under a tree in the woods, just before he first encounters Gandalf in the lane. (This nicely mirrors the similarly quiet Shire opening which the “Empty Sea Edit” gives to The Hobbit). You’ll then want to pace yourself with well-placed breaks throughout the main 12-hour trilogy, or risk severe movie-fatigue which will spoil your enjoyment and comprehension of the story. This is especially true of the extended cut of the final Return of the King film in the trilogy, which deserves to be savoured with untired eyes. All told, that lot should take you about 30 hours. The British author John Buchan’s works appear to have fallen into the public domain in January 2011. But you might not know it, as many are still way too difficult to find in the public domain as good e-copies. Still less as free audiobooks. I’ve never really known anything about Buchan’s work, beyond the films of the famous The Thirty-Nine Steps. That brisk spy novel was apparently followed by two more, similarly set in the First World War, Greenmantle and Mr Standfast. So I had never thought of Buchan as anything but a rather dated spy novelist. 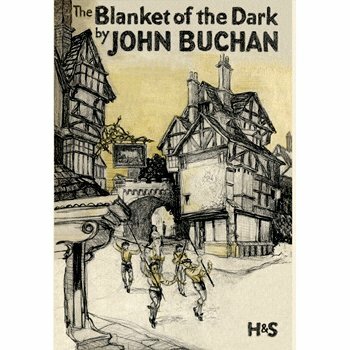 But recently I read that a good case has been made that Buchan may have influenced The Lord of the Rings, via the historical novels The Blanket of the Dark (1931, Oxfordshire under a Sauron-like tyrant) and Midwinter (1923, a model for Strider and the Rangers), which are historical adventure novels set in olde England. For details of the seemingly well-founded claims see the recent way-too-expensive book of Tolkien scholarship Tolkien and the Study of His Sources: Critical Essays. So far I’ve only read the first chapter of The Blanket of the Dark, but it’s very good and ‘very Tolkien’. I now see that Buchan was an adventure novelist, military historian, supernatural tale-spinner, and generally a writer of vast scope. He died with over over 100 works to his credit, and was far more than just a spy novelist. A Scot, in historical adventure tales he seems to have followed in the tradition of Robert Louis Stevenson’s Kidnapped — long journeys through large landscapes, allowing full reign for Buchan’s talents in the description of landscapes. Such books were very popular at the time, pushing unadventurous boys and men into vast but precisely-realised wild landscapes beset by epic political intrigues. In America a similar approach was perhaps best exemplified at the time by Everett McNeil, who was the best-selling boys’ novelist of the time. McNeil was a follower of the similar and earlier Henty, and likewise sent boys on vivid epic journeys into the American wilderness and sea, in the company of famous explorers and soldiers. One can see how these sort of fresh and epic landscape-adventure novels, by the likes of Buchan and McNeil (and the earlier Henty), might have given Tolkien a star by which to steer The Lord of the Rings with. Anyway, I thought I’d do a quick survey to see what was seems most interesting among Buchan’s vast output. First, the Scottish books seem to be ones to avoid as your ‘first taste of Buchan’. His first real novel, John Burnet of Barns (1898), is described as a novel of “doomed attraction across language and outlook”, and a lifelong rivalry that leads to… doom. Oh dear. It’s said by modern marketeers to be ranked alongside Kidnapped as a Scottish “adventure classic”, but frankly I never much liked Kidnapped as either book or film, and John Burnet sounds more of the same (only more gloomy and dour). 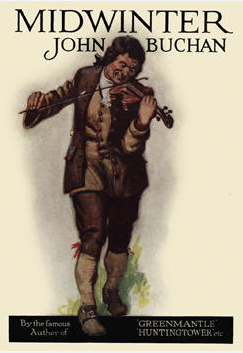 John Burnet heralded a string of what sound like similarly depressing ‘Scottish local novels’ by Buchan, which one suspects are are probably now rather more fascinating to the Scots than to the rest of us. Buchan also edited an anthology of Scots vernacular poetry, The Northern Muse, if one wants to pile on some further misery. Buchan seems to find the most readers outside of Scotland when he inserts a fresh element or two into Scottish life. 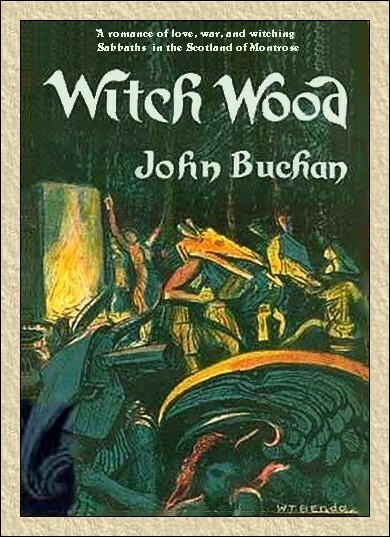 Buchan’s Witch Wood appears to be a firm favourite of many, for instance, being a 1927 novel of devil-worship and evil forests in seventeenth-century Scotland. Knowing some of the context from my work on H. P. Lovecraft, at a guess I’d say the novel was probably inspired by Andrew Lang and by Margaret Murray’s The Witch Cult in Western Europe? At first I suspected that the devil worship would be of the tedious Wheatley-esque kind, very uninteresting to those used to the vivid Solomon Kane stories of R. E. Howard and the richly weird work of H. P. Lovecraft. But Witch Wood is apparently rather more subtle and interestingly macabre than the usual mumbo-jumbo, and was influenced via Blackwood and Machen. 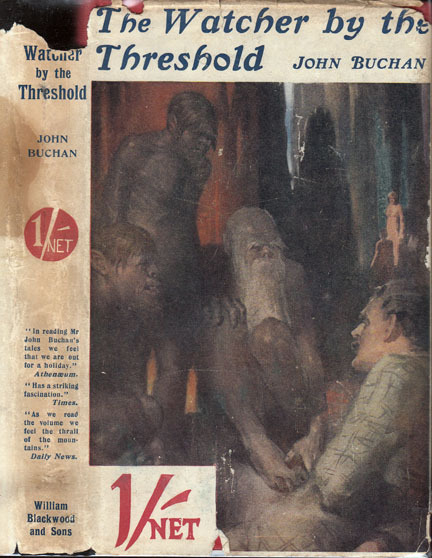 Buchan’s earlier supernatural story “The Watcher by the Threshold”, found in the collection of the same name, was apparently a forerunner of the novel Witch Wood. Other notable ‘weird’ novels are said to include The Dancing Floor and Sick Heart River. Readers seeking similarly supernatural Buchan tales might look at Buchan’s story-and-poems collection The Moon Endureth: Tales and Fancies (1912, seemingly abridged in the American version), which has a manageable early sampling of his supernatural and mystery fiction including “The Grove of Ashtoreth” (Africa, haunted grove, ancestral taint) and some interesting historical-mystical poetry. His other two most notable supernatural stories can be found collected in the The Rungate Club book of club stories (1928). In this, his “The Wind in the Portico” (1928) sounds very similar in setting to Lovecraft’s famous “Rats in the Walls” of 1924. “Skule Skerry” (1928) has a scientist who encounters vast forces on a barren island, and it sounds similar to Blackwood’s famous “The Willows” of 1907. His pamphlet-essay “The Novel and the Fairy Tale” (1931) isn’t online, but may interest those who enjoy Tolkien and the supernatural, and it seems that the essay was read by Tolkien in the 1930s. There is also a good deal of uncollected journalism by Buchan, who was also very much involved in political and military life, which in 2015 was surveyed by a a UWE PhD thesis. Novels such as his Prester John (1910) fit in here. It is not, as one might expect, a tale of the Crusades. Instead, it’s an early adventure novel set in Africa, which was published in the American pulp magazine Adventure in 1910-11. Lastly the Huntingtower has also been cited as a possible influence on Tolkien’s The Hobbit. 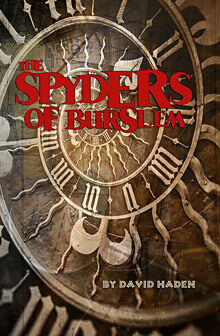 It is apparently a lightweight boys’ adventure/spy tale and is another favourite of many Buchan fans. Like Buchan’s Witch Wood, an unusual element is inserted into Scottish rural/coastal life Huntingtower. 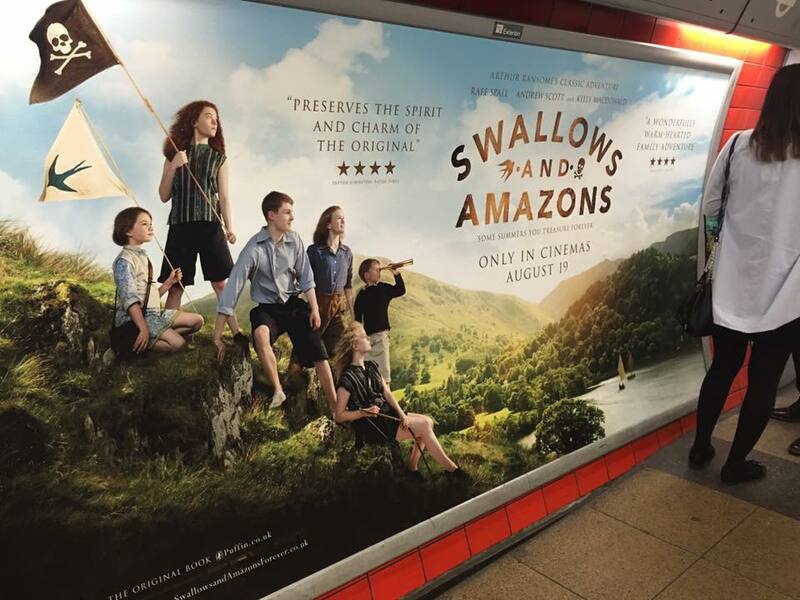 A band of unofficial self-organised Boy Scouts have come out to Galloway from the slums of Glasgow to camp, and they and the reluctant hero come into conflict with spies. 1) For the spy-novel fans, The Thirty-Nine Steps and its follow-on novels Greenmantle and Mr Standfast. All are on Librivox as free audio books. 2) For the fans of Blackwood-esque supernatural fiction, “The Watcher by the Threshold”, then the novel Witch Wood. Then his other main supernatural stories: “The Grove of Ashtoreth”; “The Wind in the Portico”; and “Skule Skerry”. There are no free audiobook readings of these, that I could find. 3) For the lovers of The Lord of the Rings, the novels Midwinter (1923) and The Blanket of the Dark (1931). Sadly there are no free or other audiobooks for these, and they’ve only available as books from Project Gutenberg in Australia as .txt files. You’ll need to convert them for the Kindle ereader etc, via Calibre or Send To Kindle. I’d suspect that someone is still fussing around with a dubious copyright claim on these, which is presumably preventing their appearing on Archive.org and Hathi. Excellent to see this happening on the big screen. The early reviews suggest a near-perfect faithful adaptation, one that hasn’t been yanked out-of-shape by political correctness (like The Little Prince was, recently).